A top police officer in Northern Ireland has warned that dissident Republicans are targeting police and prison officers in the run up to the Easter Rising commemoration – after a bomb was planted under a prison officer’s van this morning. Assistant chief constable Stephen Martin said another attack was likely in the run up to the 1916 celebrations, hours after a 52-year-old prison officer, a married man, and a father was targeted. 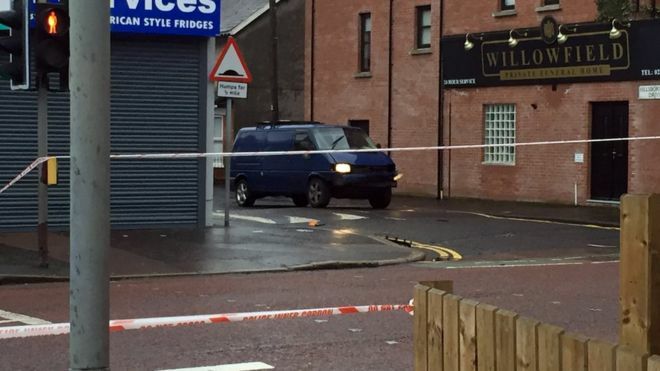 A bomb was partially detonated under his van as he drove over a speed bump on Hillsborough Drive, off the Woodstock Road, Belfast at around 7.10am today. His injuries are serious but not life threatening. He is currently in surgery. 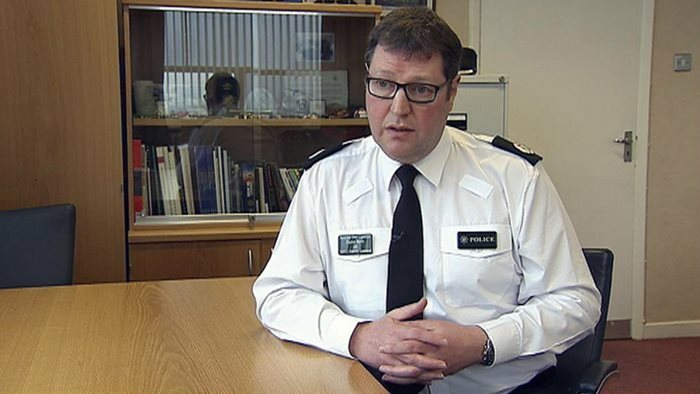 Asst chief constable Martin was openly emotional as he spoke of the incident and the current heightened threat of bloodshed in the northern Irish community. “This could have been a fatality. The people who planned this, wanted to kill a prison officer. “This is a 52-year-old man, he’s been in the prison service for over 28 years. This is a married man with grown up daughters. And we could have been facing an absolutely tragic set of circumstances today in which a man who goes to work every day to keep people safe, to protect people, is actually deprived of his life in the most callous of circumstances. “We are grateful he has survived this attack, that was not the intention of those who carried out the attack. “The threat in Northern Ireland remains severe. I encourage people to remain vigilant. “We still have people who want to kill and the primary targets are police officers, prison officers and soldiers. The prison officer is believed to work in Hydebank Wood Young Offenders’ Centre in Belfast. The police have announced they are particularly concerned about an increasing risk of bloodshed on the run up to the Easter Rising commemorations. There are people within dissident Republican groups who want to mark Easter Rising in an entirely different way and they want to kill police and prison officers and soldiers. The police officer also said the PSNI were aware of how “culturally sensitive” the event is and they will “work hard” with the nationalist community to help it proceed. “We don’t want in 2016 to be engaged in this,” the officer said. They are a small minority out of step. These people need to wake up and get off the stage. Security has been stepped up in the PSNI and Northern Ireland Prison Service in recent weeks and it will continue to be tightened in the run up to the Easter Rising anniversary. “Our thoughts and prayers are with this senior prison officer and his family as he is treated for his injuries in hospital,” they said. “We will join all right-thinking people in condemning these cowardly actions.